Our favorite fashionista, famous Carrie in the TV series, Sarah Jessica Parker held a presentation of the new fragrance in the capital "L'Etoile" at the "European" mall. On November, 18 the actress arrived to St. Petersburg where she received a standing ovation, applauses and gifts from hundreds fans who had come to the "Gallery" mall. In Moscow and in the northern capital Sarah Jessica find time not only for the long-awaited meeting with the fans, but also for walking and sightseeing. She shared on Instagram photos of Red Square, St. Petersburg yard and the waterfront, as well as image legend of the domestic auto industry - "Volga", which caused a real delight and an avalanche of comments among the fans of the actress. 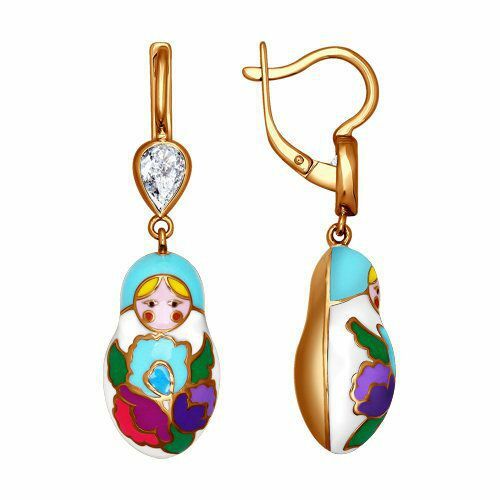 It is interesting that when creating her new perfume Stash SJP Privé Sarah Jessica was inspired by Russia: Bolshoi Theater, the world-famous ballet and, of course, the beauty of Russian women. Those fans who came to the meeting with the star got the first opportunity to evaluate the new product with subtle floral and citrus aroma, to be photographed with the actress to ask her any questions, hear "thank you" from the actress in Russian and get a coveted autograph on a bottle of fragrance. 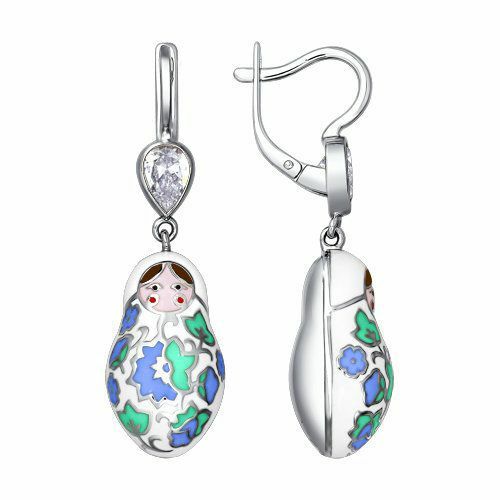 Among other gifts Parker got silver matryoshka earrings by SOKOLOV with colored enamel and suspension in the form of drop-down heart. 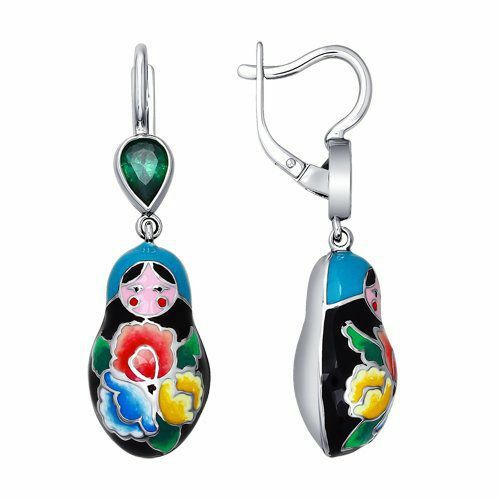 Inspired by the Zhostovo painting, the earrings look even more original due to their shape. 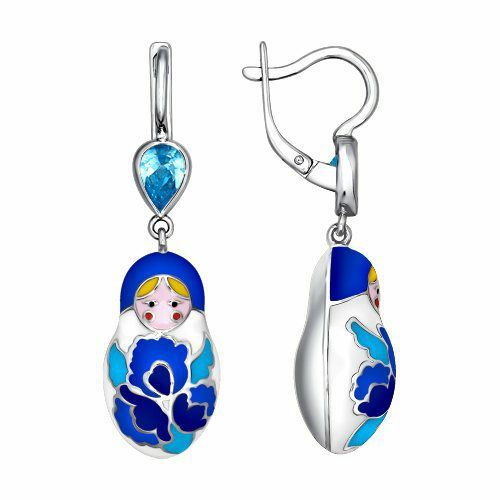 Silver dolls with a folk pattern, made in enamel technique, will undoubtedly become one of the most beloved jewelry of Sarah! 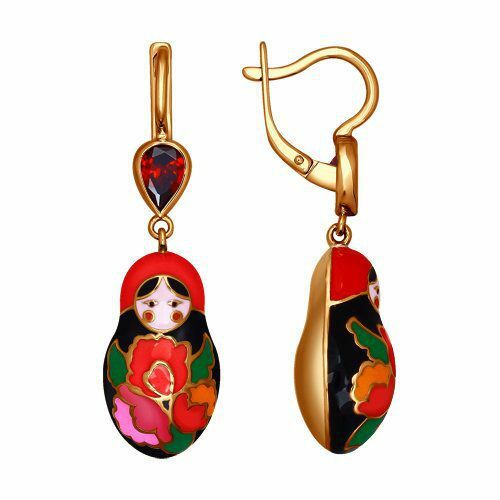 Declaration of love to actress from the big city!